Outlander "The Watch" (1x13) promotional picture. . Wallpaper and background images in the outlander serie de televisión 2014 club tagged: photo outlander season 1 1x13 ian murray jenny claire. 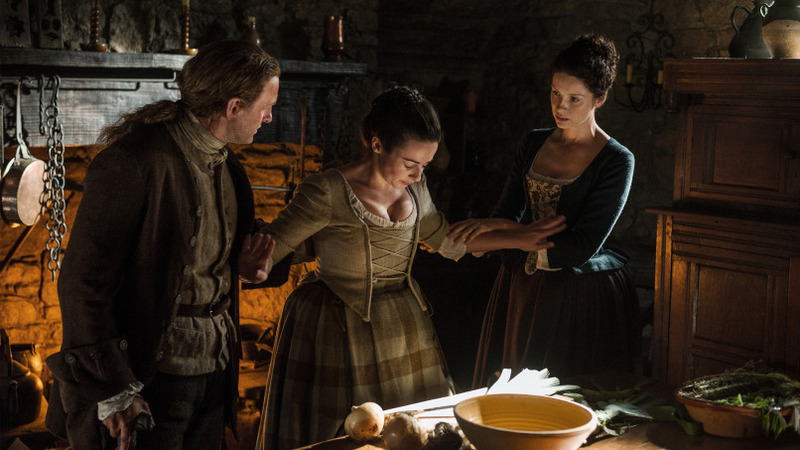 This outlander serie de televisión 2014 photo might contain almuerzo, comida, fiambrera, dejeuner, tiffin, cena, and antipasto.